Published: May 11, 2014 at 03:27 p.m. 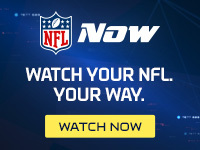 Updated: May 11, 2014 at 06:49 p.m.
Ben Roethlisberger has seemingly been campaigning for the Pittsburgh Steelers to add a big, physical wide receiver ever since Plaxico Burress defected to the New York Giants nearly a decade ago. Six years removed from draft bust Limas Sweed, the Steelers selected 6-foot-4 Clemson wideout Martavis Bryant with the No. 114 overall pick of the 2014 NFL Draft. Roethlisberger is said to be thrilled with his new weapon, per the Pittsburgh Post-Gazette. Don't let Bryant's draft slide fool you. The Steelers believe he could enter the starting lineup as soon as this season. "We feel like we got a guy to put opposite of Antonio Brown," wide receivers coach Richard Mann said Saturday. "Beauty is in the eye of the beholder. He lasted. We were delighted we were able to get him. Felt like a second-, third-round guy." Steelers thought of drafting Bryant on the third round, in fact just passed out a bio of him saying they DID draft him on third round. One NFL scout told the Milwaukee Journal Sentinel's Bob McGinn leading up to the draft that Clemson officials insisted Bryant plays faster than No. 4 overall pick and former teammate Sammy Watkins. "He has a Randy Moss-type build," another scout said. "Doesn't run as fast as Randy but a notch below. There's some immaturity ... He does some idiotic stuff. But as far as natural ability he's up there." Bryant has also drawn loose comparisons to the late Bengals size/speed phenom, Chris Henry. Although the fourth-rounder will be in the mix for playing time as a rookie, he will have his hands full trying to beat out last summer's training camp sensation Markus Wheaton. Coach Mike Tomlin expects Wheaton to take a significant step this year after a pair of broken fingers turned the 2013 third-round pick's rookie season into a washout. With Wheaton on the outside and former Drew Brees safety blanket Lance Moore in the slot, the Steelers can afford to ease Bryant in as a situational red-zone threat.